2011 was dominated by the horrendous news that there were three simultaneous meltdowns at the nuclear power plant in Fukushima, Japan, in March, sparked by a gigantic 9.0 earthquake and a monstrous tsunami. 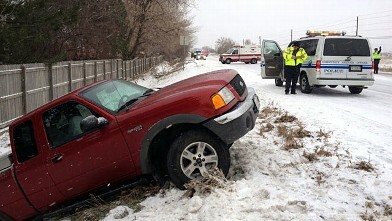 It was recently revealed that the accident was much more severe than previously thought. The uranium core of Unit 1 completely liquefied (the first time this has ever happened) and melted right through the vessel and into the containment, almost setting off a China Syndrome-type disaster (where the core melts down, theoretically all the way to the other side of the planet). 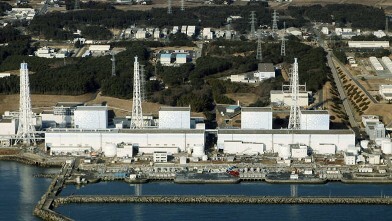 In December, the utility, TEPCO, announced that it finally stabilized the reactor after 9 months of agonizing work, and temperatures inside were below boiling. Now comes the hard part -- cleaning up the tragedy, which may take 30 to 50 years or more. It took 14 years to clean up Three Mile island. It's been 25 years since the Chernobyl accident, and that reactor is still not stable (the core continues to produce intense heat as it melts into the ground). Meanwhile, Germany and Switzerland both announced that they are permanently phasing out all nuclear power plants, in light of Fukushima. This is putting pressure on President Obama, who is still pro-nuclear. 2011 was haunted by the specter of "100-year storms," i.e. 100-year flooding, 100-year heat spells, 100-year droughts, 100-year forest fires, etc.. Property damage was in the billions and the human agony was often unbearable. But why is the weather turning so ugly, when you have simultaneous droughts in Texas and massive flooding next door? The short answer is that scientists don't know for sure. Predicting the weather is a tricky business, even for the best supercomputer. But there are at least two theories. One is that there are natural fluctuations in the weather, so that random chance can create these disastrous events. For example, much of the weather over the U.S. is determined by cold, Arctic air coming in from Canada, hitting the moist, warm air from the Gulf of Mexico. The Gulf was hotter than usual this year (meaning that there was more moisture in the air) and the jet stream acted in erratic ways, sometimes bringing down huge storms and at other times causing stagnation and a heat spell. The other theory says that perhaps the increase in moisture from the Gulf of Mexico and the erratic jet stream are caused, in part, by global warming. "Global warming" does not mean uniform warming of the earth; instead, it should be called "global swings," with droughts in one part of the country and flooding in the next. So far, there is no smoking gun, but many scientists say that these strange 100-year events are consistent with global warming. If so, then expect more of them. 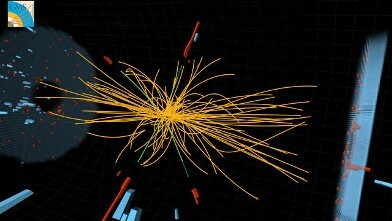 Physicists at CERN near Geneva, Switzerland, announced that they are finally closing in on the elusive Higgs particle. The Large Hadron Collider, or LHC, a colossal $10 billion machine 17 miles in circumference, can hurl protons at 14 trillion electron volts to re-create conditions near the Big Bang itself, where particles of the Standard Model of particles can be found. The Higgs is the last, missing piece of the Standard Model. But this is not the end of physics. The Standard Model only describes 4 percent of the matter-energy of the universe (the rest being dark energy and dark matter), so we are far from a "theory of everything." The next step is to produce dark matter at the LHC and perhaps verify exotic new theories, such as string theory. Black holes, once considered science fiction, now appear all around the universe. 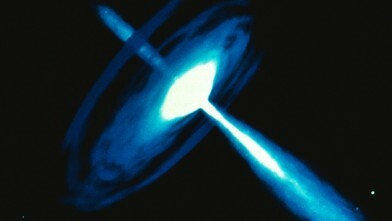 Astronomers recently identified the biggest black holes of all time, one weighing in at over 20 billion suns in mass. The Holy Grail of planetary astronomy is to find a twin of the Earth in outer space. Astronomers this month announced a new candidate. So far over 500 extra-solar planets have been identified orbiting distant stars, but only a few seem to be in the so-called habitable zones surrounding those stars, and the one announced this month, called Kepler-22b for now, is the first to be confirmed. If a planet is too close to its mother star, its oceans will boil. If it's too far, the oceans will freeze. But if a planet is "just right" in the Goldilocks zone, then it might have liquid oceans. 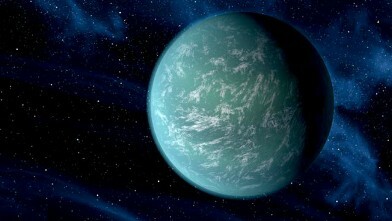 Liquid water is the universal solvent, out of which the first proteins and DNA emerged, so there is hope that perhaps Kepler-22b also has liquid water oceans (and perhaps even microbial life). Once earth-like planets are identified, this will help to narrow down SETI, the search for radio signals from intelligent life. But don't think that we will be able to visit these planets any time soon. If we take a voyage on a Saturn rocket, it would take several hundred thousand years to reach any of these planets. All DNA on earth is basically the same, except that the genes are arranged differently for different plants and animals. So it was shock, late last year, when scientists announced that Mono Lake in California had DNA which had never been seen before, with arsenic as one of its building blocks. 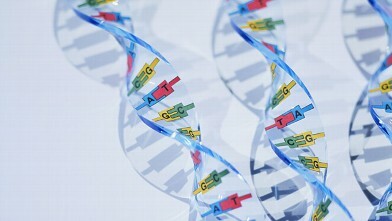 Immediately, other scientists jumped into the fray, arguing that perhaps the DNA was contaminated. But it still means that, in outer space, we have to be open to the idea of alien DNA, which may look quite different from our DNA. If it holds up, then every biology textbook on earth has to be rewritten. Time will tell if this shocking result holds up. President Obama has altered the mission of NASA. He canceled the return to the moon proposed by President Bush, canceled the space shuttle, canceled the Constellation project to replace the shuttle, and put off any manned mission to Mars. 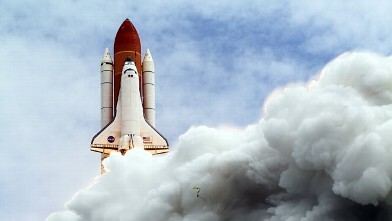 NASA's manned space program was a victim of the Great Recession. So it was with teary eyes that people watched the last shuttle launch in July. U.S. astronauts will be hitchhiking rides to the International Space Station with the the Russians for the next several years. People are keeping their fingers crossed, hoping that private enterprise will eventually pick up the slack. The "Godzilla" of space probes blasted off in November, headed for Mars. 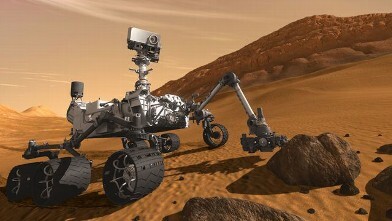 The Mars Science Laboratory, a rover nicknamed Curiosity, is five times bigger than any of the previous Mars rovers.Its mission is to find evidence that liquid water once existed on Mars and then to find evidence of microbial life that might have spawned on Mars billions of years ago. So far, scientists have found no conclusive evidence of life on Mars. But since Mars once had great oceans (one of them about the size of the U.S.) there is still hope that some form of life may have germinated on Mars. In the movies "The Matrix" and "Total Recall," memories can be inserted directly into the brain. So instantly you can become a karate master or a helicopter pilot. This is all science fiction, but science is catching up. Scientists at USC and Wake Forest University made a major step in this direction. 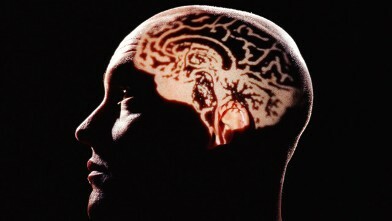 Memories in rats and humans are first processed in the hippocampus of the brain. These scientists recorded signals in the hippocampus as the rats learned a task. Then they gave the rats chemicals which made the rats forget the task. Finally, the re-injected the taped messages back into the hippocampus, and the rats remembered the original task. So one day, if all goes well, we too might be able to record certain memories and then have them injected into the brain, so we learn a task instantly. Of course, years of work are needed before we can become instant karate masters. However, in principle, it may be possible. The Nobel Prize in Physics in 2011 went to three astronomers who have discovered that the expansion of the universe is accelerating, rather than slowing down, and that a mysterious "dark energy" may be responsible. This is embarrassing, since only a few decades ago, it was widely believed that the universe was mainly made of atoms. Now, we realize that 73 percent of the matter/energy comes from dark energy (the invisible energy of the vacuum), 23 percent from dark matter (invisible matter that surrounds the Milky Way Galaxy), 4 percent from stars, and just a paltry .03 percent from higher elements which comprise our body and the planets. We are just beginning to understand what our universe is really made of, a question asked by the ancient Greeks 2,000 years ago. Credit: Intel: The era of the personal computer dawned thanks in no small part to the chip maker Intel. But the company has been only a spectator to the rise of smart phones and tablets in recent years. These mobile devices use chips based on designs licensed by the U.K. company ARM, which deliver the power efficiency the powerful, compact gadgets require. Last week, Technology Review tried out prototype smart phones and tablets equipped with Intel's latest mobile chip, dubbed Medfield, and running the Android mobile operating system created by Google. "We expect products based on these to be announced in the first half of 2012," says Stephen Smith, vice president of Intel's architecture group. Known as "reference designs," the devices are sent out to inspire and instruct manufacturers interested in building products around Intel's latest technology. "They can use as much or as little of the reference design as they like," says Smith, who hinted that the upcoming Consumer Electronics Show in January could bring news of gadgets in which Intel's chips will appear. Intel's Medfield is the latest in its "Atom" line of mobile chips. So far none of them have seriously threatened the dominance of ARM-based chips in mobile devices, in part because they are more power-hungry. However, the new chip represents a significant technological step toward lower power consumption. Previous Atom designs spread the work of a processor across two or three chips, a relatively power-intensive scheme that originated many years ago in Intel's PC chips. But now Intel has finally combined the core functions of its processor designs into one chunk of silicon. "This is our first offering that's truly a single chip," says Smith. The all-in-one design, known as a system on-a-chip, is a standard feature of the ARM chips so dominant in smart phones today. A huge range of choices about mobile phones always confuses you and you are always end up in a dilemma. We have hereby listed out the best mobile phones in the world that is measured in both in its technicalities and user friendliness. Choosing the right smartphone is quite difficult because smartphones are not only getting smarter every day, they are becoming super powerful. 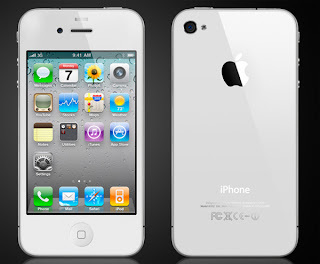 We can find smartphones of various designs, size and with rich features in different price categories. Here are the 5 best smartphones to check out. Samsung Galaxy S II is well known in the smartphone segment and one of the best additions to the android market. It is the next generation smartphone that you can grab on since it is earning great reviews all over. This Samsung runs on Android 2.3 Gingerbread and makes navigation easily accessible. It has unleashed a 4.3 inch super AMOLED Plus display which gives a very slicker look to it with a high readability. It is powered by a dual-core 1.2 GHz ARM Cortex-A9 processor and 1 GB of RAM. It comes with 16 GB and 32 GB internal storage and up to 32 GB of external memory capacity. It has 8 MP of rare facing camera with autofocus, LED flash, Geo-tagging, touch focus, face and smile detection, image stabilization, capable of HD 1080 video recording and 2 MP of front facing camera. This Samsung model surely steals the lime light in the smartphone world due to unimaginable light weight (116 g). The price is 32,890. HTC's approach with the Sensation is the antithesis of Samsung's strategy. Where the Galaxy S II aimed for the thinnest smartphone title, compromising hand-feel in its rush to shed ounces, HTC has come up with a thicker device that feels far more in keeping with the flagship positioning. The Sensation is HTC's first ever phone to feature a 1.2 GHz dual core processor supplied by Qualcomm's latest MSM 8260 Snapdragon chipset and a whole new interface with the latest HTC sense 3.0 user interface. It comes with a 4.3 inch screen with multi-touch input method, accelerometer sensor for UI auto-rotate, proximity sensor for auto turn-off and gyro sensor. It is powered by 1.2 GHz dual-core processor, 768 MB of RAM, runs on Android 2.3 Gingerbread OS. The HTC Sensation supports Bluetooth, WiFi, Micro USB, A-GPS, HDMI, DLNA and powered by a 1520 mAh standard battery for extra long battery life. The price of HTC Sensation is 32,700. 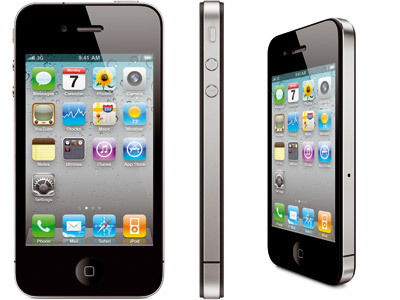 With its slick iOS 5 platform and amazing display are the plus points of this mobile. The notable feature of this phone is the smart voice assistant Siri that helps in everything from sending messages, scheduling meetings, placing phone calls, to searching the web. It has a3.5 inch LED backlit TFT capacitive touchscreen with 640x960 pixels, the display features multi-touch input method, accelerometer sensor for auto rotate, proximity sensor for auto turn off. It is powered by GHz dual core A1 GHz dual-core ARM Cortex-A9 processor, PowerVR SGX543MP2 GPU, Apple A5 chipset and 512 MB of RAM. It has 8 MP, 3264x2448 pixels, autofocus, LED flash and features touch focus, geo-tagging, face detection and it has a capacity of 1080 HD video recording and video stabilization. It also has WiFi, 3G, GPRS, EDGE, Bluetooth, and USB.The price is 30000. It comes with 4.2 inch capacitive touch screen with LED backlight, along with scratch-resistant surface and utilizes Sony Mobile BRAVIA Engine which is Sony's display technology. The phone comes with Timescape user interface which is Sony's proprietary user interface with deeper Social network integration. The phone is based on Android v2.3.4 (Gingerbread) OS and 1.4 GHz Scorpion processor. It has 8 MP camera with LED Flash and auto focus. It uses Exmore imaging technology from Sony and comes with features like video calling, Touch focus, Geo-tagging, Face and Smile Detection, 3D Sweep Panorama and Image stabilization. Other features include digital compass, HDMI port, Adobe Flash 10.3 support, Document viewer, Bluetooth, 3G and microUSB V2.0. Xperia Arc S has 1 GB Internal memory and microSD support for expandable memory up to 32 GB and the price is 26,900. The phone has been designed from a single block of aluminum to transform into a sleek handset. It comes with a 3.2-inch OLED HVGA touchscreen display. The trackball has now been fitted with an optical joystick next to a narrow button to improve functionality without compromising on the look and design of the phone. 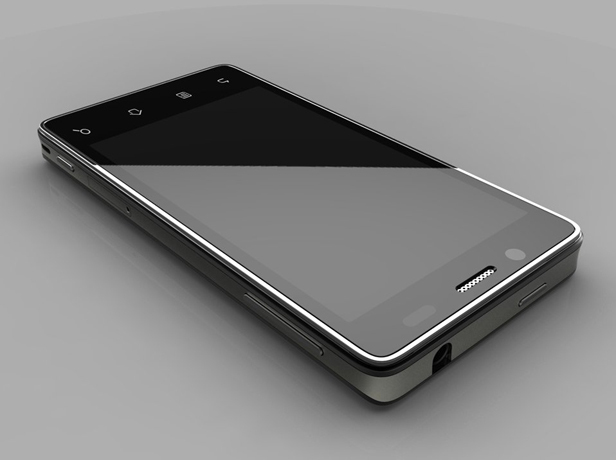 It is powered by a 600 MHz ARM 11 processor, Qualcomm MSM 7227 chipset, 384 MB of RAM and runs on Android OS v2.1 Eclair. It has a 5 MP of camera with autofocus, LED flash and features geo-tagging. Other feature includes WiFi, GPRS, 3G, Bluetooth, micro USB and expandable memory up to 32 GB. This phone has a widget named friend stream that helps to manage multiple social networking sites like Flickr, Twitter and Facebook. It is available at the price of 25,990.